Despite what they called obvious marginalisation in the distribution of national cake, Southeast/Southsouth governors have renewed their faith in a united Nigeria. They subscribed to the destiny and greatness of Nigeria with an urge to compatriots to place the country on the front row in the comity of nations. The governors’ pledge was contained in a communique issued on Sunday at the end of their second meeting under the aegis of the Southeast/Southsouth Governors’ Forum at the Government House in Port Harcourt, Rivers State. 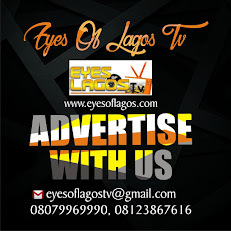 EYES Of LAGOS gathered that, They agreed to promote the unity of the country but urged the Federal Government to encourage investors in the oil and gas industry to have their operational headquarters in regions of operation to attract more and investments in the sector. To pursue inter-regional cooperation and integration for the common good of the regions’ people. To work together politically, align and re-align as a people that share common heritage, culture and affinity. To articulate and advocate for issues affecting the wellbeing of the regions. The issues may not necessarily materialise immediately, but for the benefits of future generations. To continue to subscribe our faith to the destiny and greatness of Nigeria and call upon Nigerians to put their hands on the plough and rise to claim our rightful place in the comity of nations. To condemn hate speech in national discourse, whether in individual communication, or utterances of political actors or parties and to urge security agencies to set up joint border patrols and develop more proactive strategies in combating crime and criminality. To urge the Federal Government to come up with a clear policy on concession of Federal roads and to fast-track the process in order to ameliorate the sufferings of the people of the regions. They further resolved to pursue inter-regional cooperation and integration for the common good of the regions’ people. The meeting, chaired by the Akwa Ibom governor had in attendance seven governors and four deputy governors. 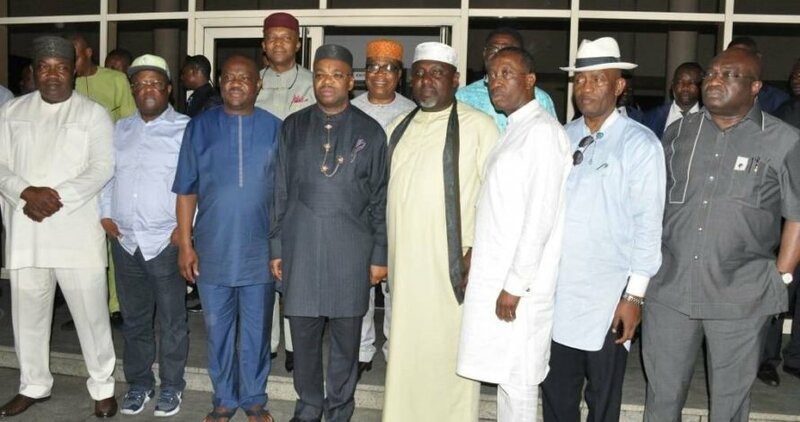 The governors are: Nyesom Ezenwo Wike (Rivers); Ifeanyi Okowa (Delta); Ifeanyi Ugwuanyi (Enugu); Dave Umahi (Ebonyi Rochas Okorocha (Imo) and Okezie Ikpeazu (Abia). The deputy governors who represented their principals Rear Admiral Gboribiogha John Jonah (Bayelsa); Dr. Nkem Okeke (Anambra); Philip Shaibu (Edo) and Prof. Ivara Esu (Cross River).